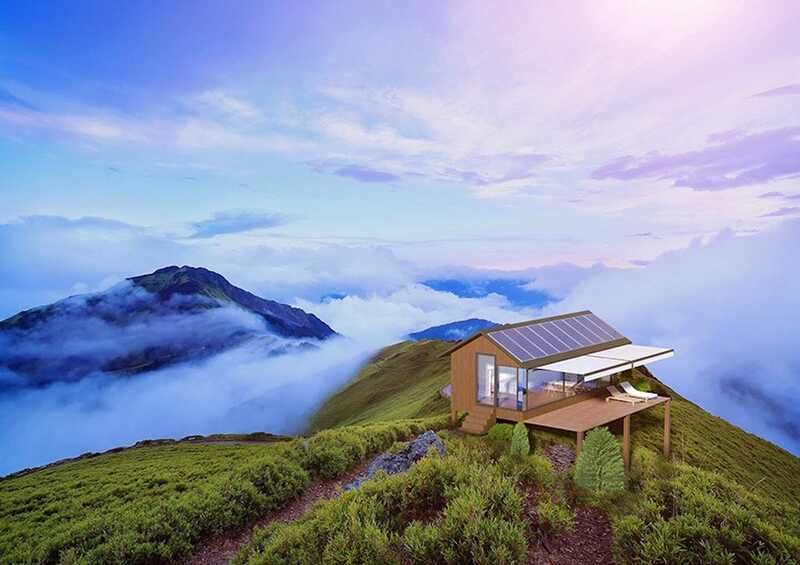 Are these the sustainable homes of the future? 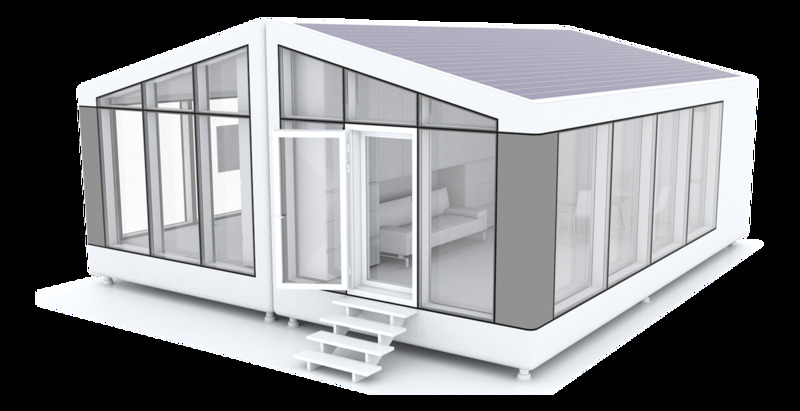 A new Ukrainian homebuilding startup called PassivDom uses a 3D printing robot that can print parts for tiny houses. 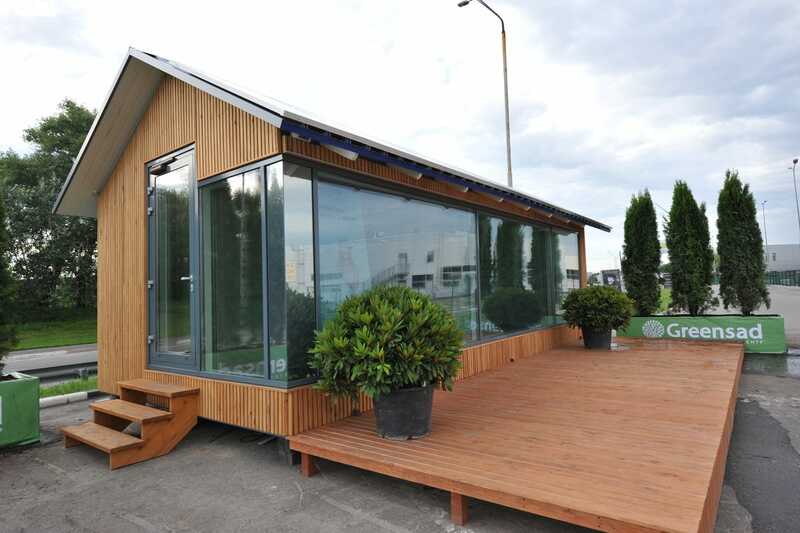 The machine can print the walls, roof, and floor of PassivDom’s 410-square-foot model in about eight hours. The windows, doors, plumbing, and electrical systems are then added by a human worker. 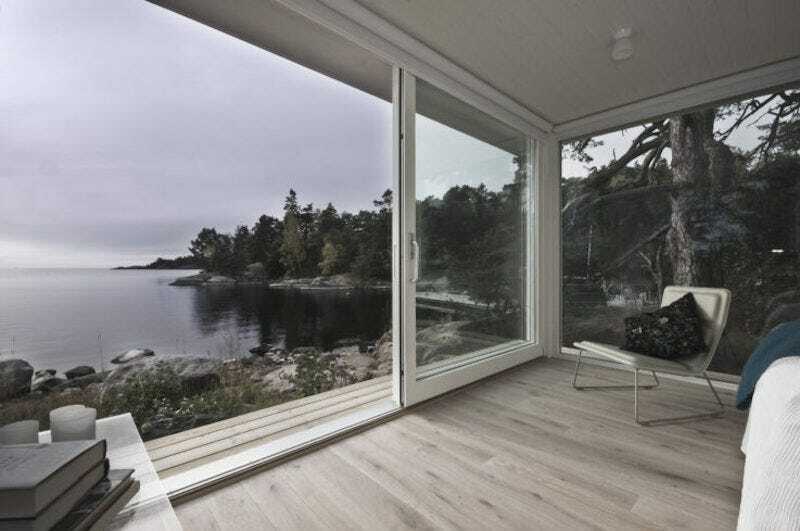 When complete, the homes are autonomous and mobile, meaning they don’t need to connect to external electrical and plumbing systems. Solar energy is stored in a battery connected to the houses, and water is collected and filtered from humidity in the air (or you can pour water into the system yourself). The houses also feature independent sewage systems. Since the startup launched in spring 2017, it has received more than 8,000 preorders in the United States for its homes, which start at $64,000. The first 100 ones will be delivered in January 2018. 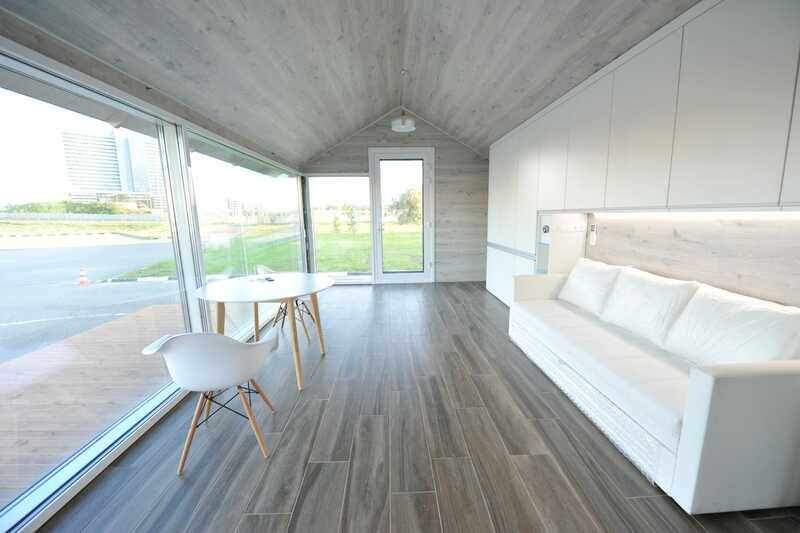 PassivDom’s smallest model measures 410 square feet and ranges from $64,000 to $97,000, designer Maria Sorokina told Business Insider. 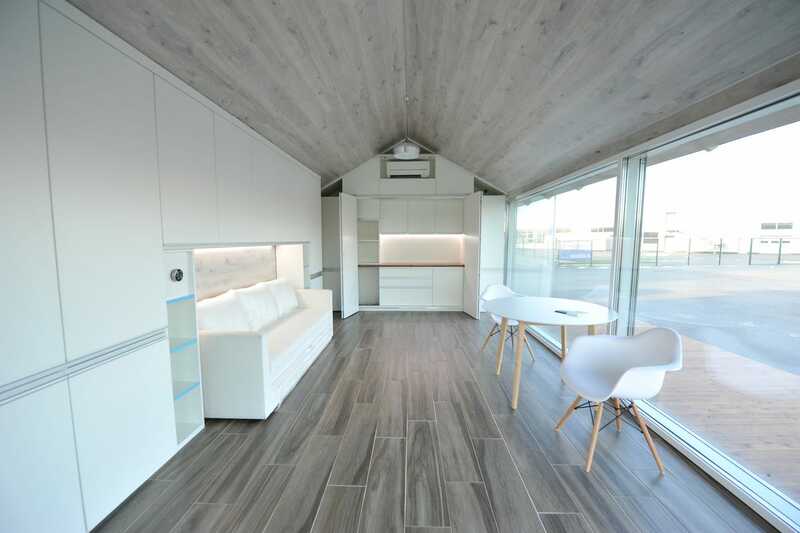 The 775-square-foot model ranges from $97,000 to $147,000. 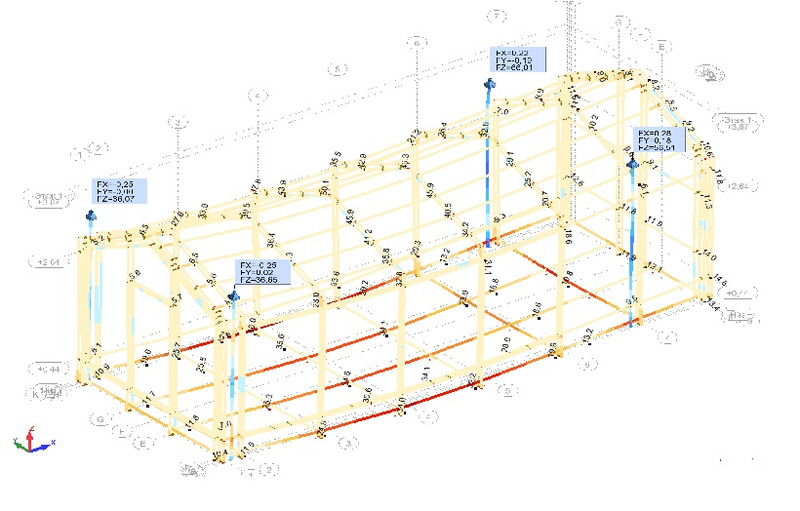 PassivDom can make custom models as well. The premium models come with furniture, a kitchen, a bathroom, engineering systems, an energy supply, a water tank, and a sewage system.